Our vision is that Yoga and Tantra are an extraordinary tradition, a noble art, science, discipline of the body, mind and soul. 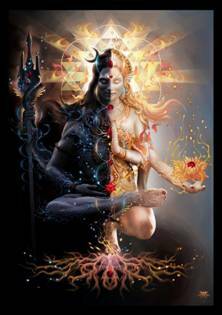 Far from being just a theory, Yoga and Tantra are primarily a practice and a path of self development. Therefore, they need to be practiced before being taught to others. Faithful to the spirit of the Mahasiddha lineage and totally opposed to the “vulgarized” approaches of Yoga which are mere gymnastics, w e acknowledge that the teacher formation and the act of teaching on this path is a very complex process, that involves a thorough level of practice as a starting point. This is followed by a special personal development in the sense of teaching, that includes purity of purpose, altruism, learning how to teach and guide others in their practice, learning how to become a channel for the massive transmission of energy specific to Mahasiddha Yoga, understanding the meaning of the lineage and much much more. We dare to say -humbly- that this formation is much more complex than an educational process in science or medicine or art or business. It is ridiculous to claim that a doctor or an architect or an engineer can be formed in a course of 4 or 6 weeks, when everybody knows it’s needed5 or 6 years for this – at least. The same principle applies in the true formation as a Yoga and Tantra teacher in our lineage. The first stage – or stage 0 – of completing out teacher courses is to complete the first 5 levels of our Yoga or Tantra courses. Refer to the Courses section for details. This means 5 months of teaching six days per week. There are a total of 144 classes included in this program. There are also intermediate exams that need to be passed in order to qualify for the teacher training. Our vision is that this should be accomplished along 2-3 years for an optimal assimilation of the practice. However this can be less for the very dedicated. This stage itself involves 500+ hours of formation. The training for teaching per se is comprising two stages, Stage 1 and Stage 2 each taking 1 month of learning, training and practice. These stages take place usually in February. These stages together include another 500+ hours of training. There are much more details about this subject. If you are considering it, contact us and all the relevant matters will be discussed in detail.